It's time to rethink what you know about the Holy Spirit. 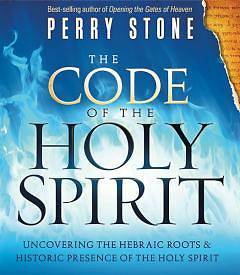 When one of the head rabbis in Jerusalem told Perry Stone that, according to a Jewish tradition, on the Day of Atonement the high priest spoke in a supernatural language of God, his interest was piqued, and his heart set out on a journey to discover lesser known details and insights concerning the Holy Spirit.
. What is the chemistry of the anointing?
. What is the significance of the wind and the Holy Spirit?
. What is the code concealed in the menorah?
. Can a believer blaspheme the Holy Spirit? Whether you ve been taught a doctrine, embarked on your own study of Scripture, observed others operating under the Holy Spirit s power, or had a personal life-changing experience, this insightful book will give you a deeper understanding of this member of the Godhead than you ve ever had before."